Dr. John Allison was the longest- standing CEO of any financial institution and ran one of the most successful financial service firms in the country, BB&T, a company that prospered in turbulent times when many giants folded. Now retired, he’s often on college campuses talking evangelically about a novel that inspired him. Allison says Ayn Rand’s Atlas Shrugged taught him values that enable people to be successful. Dr. Allison, who talked to 10,000 students last year, says students are very receptive. “They see the economic risk to their personal well being.” Dr. Allison has some powerful allies, including Dr. Yaron Brook, former finance professor and founder of a financial advisory firm. Dr. Brook, a columnist at Forbes who also writes for the Wall Street Journal, is President of the Ayn Rand Center for Individual Rights. Dr. Brook says Ayn Rand’s belief in limited government is increasingly relevant. 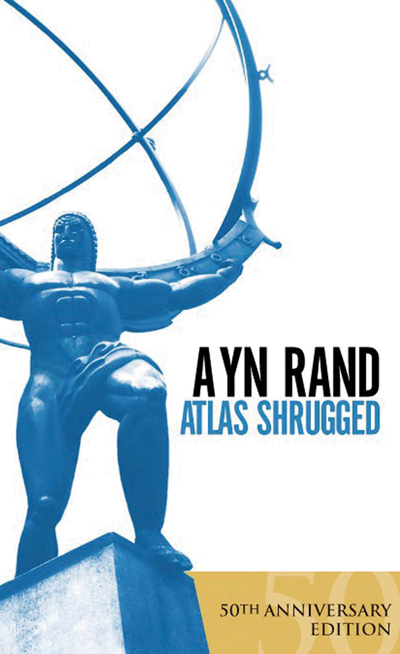 “Atlas Shrugged is a crucial book. As a country we face some dramatic significant problems that are going to affect young people more than anyone else.” Even though Atlas Shrugged was published in 1957, sales are currently on the rise, demonstrating its relevance to a generation facing enormous challenges.